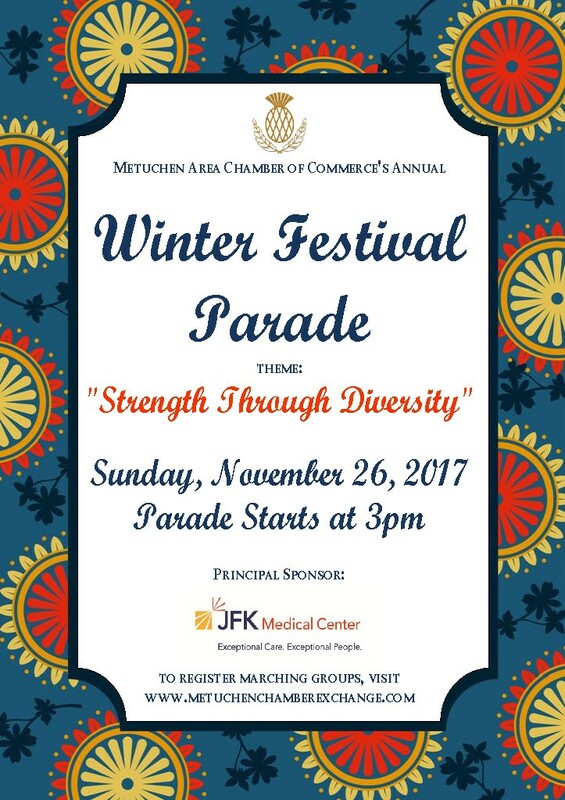 In the spirit of Diversity and Inclusion the YMCA invites you to march with us in this years Winter Festival Parade to celebrate a Y For All! Please meet us at Edgar School at 2:30pm. Use Lake Avenue to access the parking lot. December 1 TOT Shabbat! An age-appropriate Friday evening Shabbat program for younger children up to six years old which includes a Jewish-themed art/craft session. The program starts at 6 pm. Human Rights Shabbat. At 8:00pm our Shabbat Service will focus on Human Rights, specifically addressing the refugee crisis. In addition to sermon and song, we'll have some action items to help people to make a difference. December 2 Rhythm and Jews: The History of Jews in Rock-n-Roll. From Jerry Leiber & Mike Stoller, who wrote many of Elvis Presley's early hit songs, to Bob Dylan, Carole King, Neil Sedaka, Lesley Gore, Paul Simon & Art Garfunkel, Gene Simmons & Paul Stanley of Kiss, Joey Ramone & Tommy Ramone of the Ramones, all three Beastie Boys, Neil Diamond and Billy Joel, Jews have been at the forefront of American popular music for the past 60 years. Using video clips, sound recordings and Lincoln Richman on guitar, we will explore the music history -- and Jewish history - of these artists and more! We start at 7:00pm with Havdalah followed by the program, includes snack and dessert. Cost is $18 per person until Nov 30, $20 after Nov 30 and at the door. December 3 Mitzvah Day This is a day when our congregation performs acts of loving kindness for people in need. Everyone, young and older, is welcome to help in the various activities that make a difference in the lives of others. We begin at 2:00 p.m. on various projects that include making bagged lunches and hot meals, making pet toys for animal shelters, decorating cupcakes and lunch bags, and more. You'll come away this day knowing you have done good deeds. Please bring children's mittens/gloves, old towels and blankets for pets, or small sized toiletries to donate to people in need. Continue reading December Events at Temple Emanu-El. Cllick HERE for more information! On Thursday, November 16th, we are hosting our next Inspired Elephant Workshop in the series of creating your ideal future. We hear you. You have goals and desires but you wear so many hats and carry a to-do list longer than the lines at Target on Black Friday. In creating this workshop, we took all that into account and asked ourselves what could make this fun, unique and effective for our busy herd? In Get Inspired: Writing for Clarity, we cut to the chase. We are going to help you GET CLEAR on what you want by identifying what you DON'T want. Similar to our vision board workshop, you will create a vision for your future but this time, using the written word. And we are going to do this in a cozy and supportive atmosphere surrounded by other sisters feeling the same way. Why are we doing this? Because we LOVE this stuff. We want to make a difference in the world. Some folks run for public office (please remember to vote today! ), others write best-selling personal development books. At Inspired Elephant, we distribute positive content and run workshops so we can take what we've learned and implemented in our own lives, and share it with all of you. Through these efforts, we hope to build a community (or herd) because we feel there is wisdom to be shared and support in numbers. That's our way of effecting positive change. So please leave your much-detested To-do list at the door and take just 90 minutes out of your lives to create a pathway to your ideal future. By the way, we are going to have fun doing this too! For those of you that have done the Vision Board Workshop, this is a fantastic complement. Bring your boards with you! Please come. And tell your friends. Better yet, bring your friends! And did we mention we are going to have fun??? Registration can be found RIGHT HERE! Thank you all for your help and support this campaign season! We have two more notes for you as we head into the final days! (1) Paid Canvassers: Please contact Jaci Emslie if you are interested in working as a paid canvasser on Tuesday November 7th from 3pm to 8pm. This is a great opportunity for students to work on a live campaign and be engaged in the political process. Canvassers who are 16+ are eligible for payment and mature teenagers under the age of 16 are encouraged to volunteer. (2) Election night party! Please join us for food, drinks and festivities as we celebrate your hard work this election season. Please go out and Vote Line B Democrats!